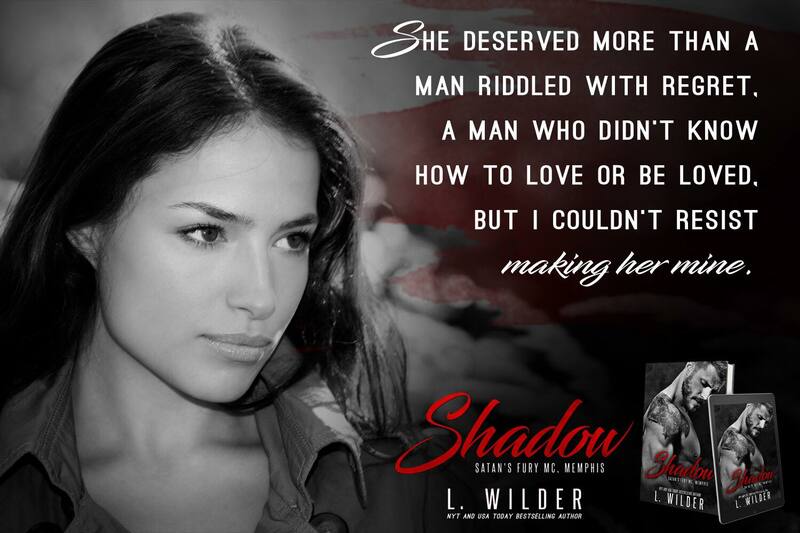 L. Wilder once again delivers an unputdownable MC romance with Shadow. 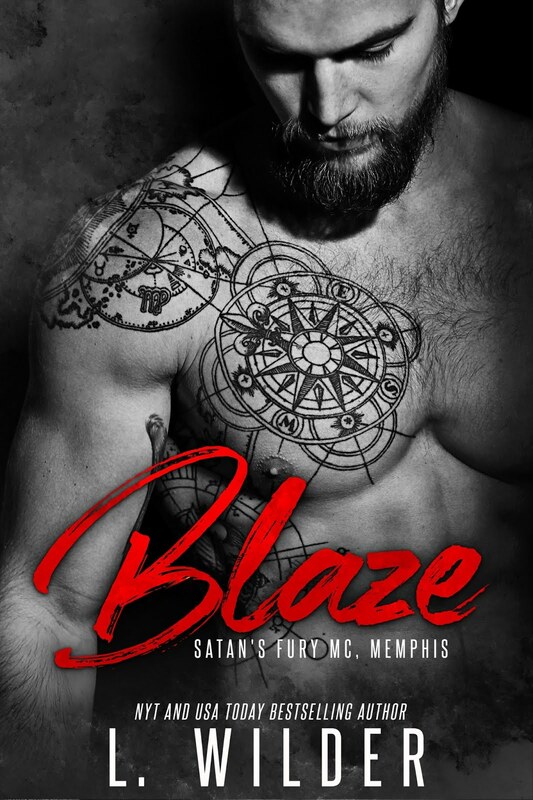 One of my go to favorite authors for MC, she always has a way of putting together romance that is simultaneously hot and sweet with action and suspense that keeps me on my toes. 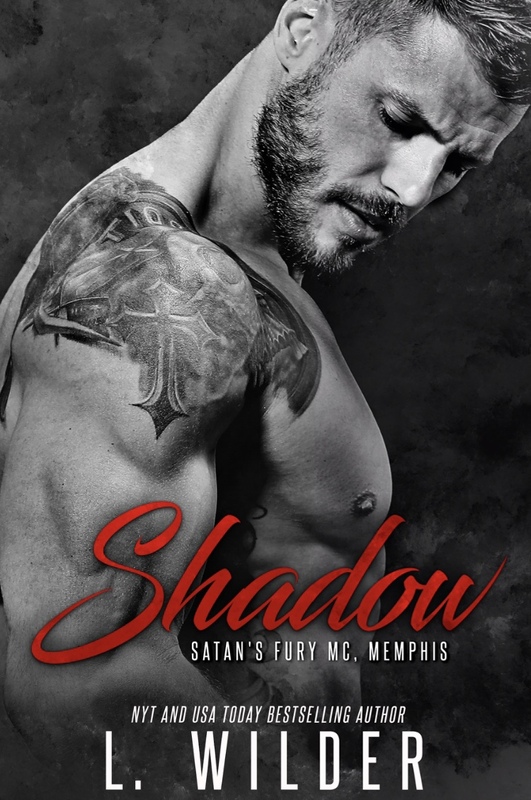 Shadow grabbed me from the very start pulling me in with a prologue that had me on the edge of my seat and didn’t let me go until the very end. Alex was a woman surrounded in mystery, but even with the truth of her past hidden it was clear she was a genuinely good person. Infinitely sweet and kind I quickly felt connected to her just as much as I did Shadow. 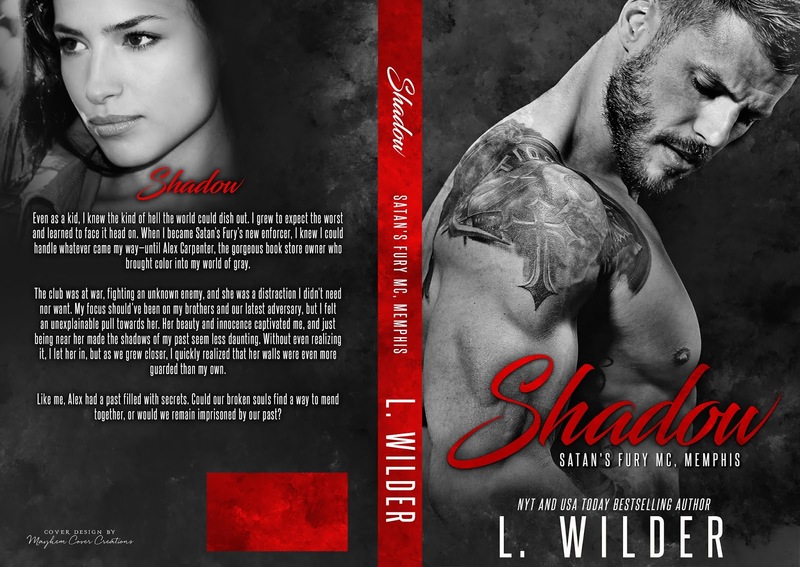 Shadow himself is hiding a darker heartbreaking past that still haunts him every day. These two seemingly broken people are stronger than most and together are an amazing couple with a love that will sweep you off your feet! 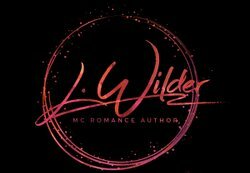 From swoony romance that takes your breath away to nail biting action every page of their story pulls you in even deeper.